It’s been a great few years and I love how we’ve been able to connect, play and grow alongside my toddler. However there are some days when I just don’t know what to do with her! 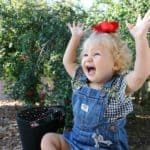 I want her to learn through communication and age-appropriate activities but it can be a challenge to know just what a toddler will enjoy. My daughter has only just turned two, so she still needs lots of supervision and parental guidance with everything. 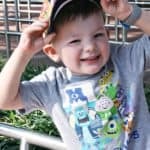 How can you keep your toddler healthy inside and out? 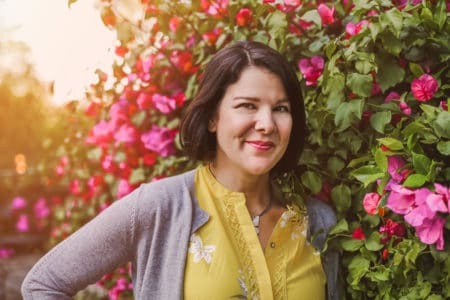 I’ve come up with a few simple crafts, exercise activities, brain-building games and ideas for proper toddler nutrition. Many toddlers will insist that you either play with them or at least remain with them while they’re playing. Encourage the use of toys that are “open-ended”. Classic toys like wooden blocks, vehicles, colored silk cloths and stacking cups let toddlers play creatively and in their own unique way. Here are a few suggestions for creative play and crafts to offer your toddler. Finger Painting with Pudding – If your toddler keeps trying to lick off the paint, try using pudding to paint with instead. I set this up outside where I can rinse off the concrete when my daughter is done painting. Indoor Tent – Set up an easy “tent” by draping a towel over two chairs or angling pillows to create a crawl space. Don’t be surprised if destroying the tent each time you set it up becomes the game! Magic Mirror – Sit side by side facing a mirror and make faces. See if your toddler can mimic your expressions. Sponge Stamping – Soak sponges of various sizes with water and show your toddler how to stamp them on the ground outside to leave a wet impression. 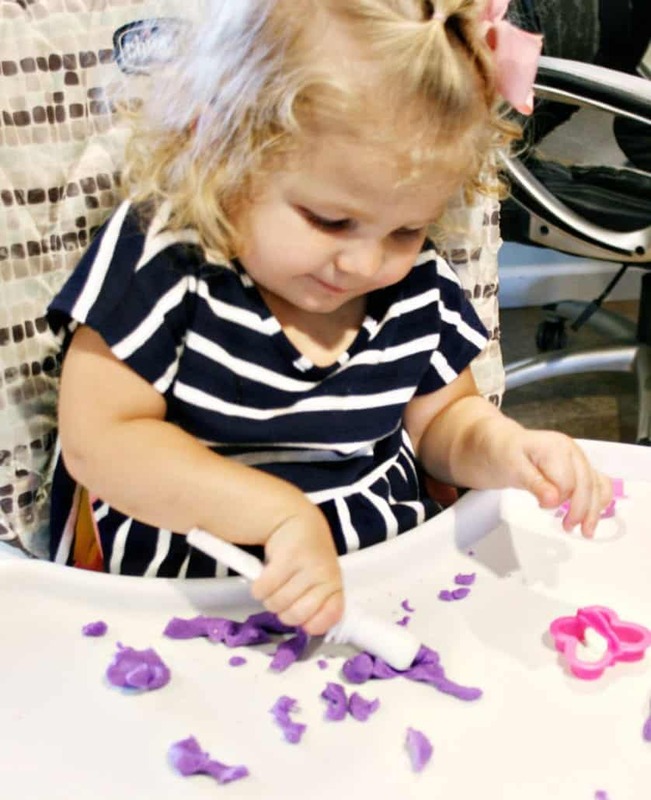 Clay is a classic for toddler’s creative, open-ended play. Toddlers absolutely need physical exercise every day. 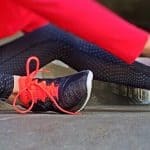 If you can’t get outdoors or to the park, try these indoor exercise ideas with your toddler to help them strengthen their muscles and improve coordination. Balloon Toss – Blow up a balloon and show your toddler how to tap the balloon gently with the palm of their hand to keep it in the air. Stretching – The slow movements of stretching are easy for little ones to learn. Put on some peaceful music and use kid-friendly connotations like “melt to the floor like ice cream”. Dance Party – Play some kid-friendly songs like the “Hokey Pokey” and “Ring Around the Rosy”. Instructional songs like these that teach the lyrics along with movements are ideal. Make up silly moves like, “wiggle like a dog after bath time” or “waddle like a penguin”. Marching Band – Grab an old pot and a wooden spoon to beat out the rhythm. Teach your toddler how to march and clap and then how to synchronize both movements together. Balance Beam – Tape a piece of blue painters tape on the floor and show your toddler how to walk on the line. Your little one probably isn’t quite ready for board games with lots of rules. 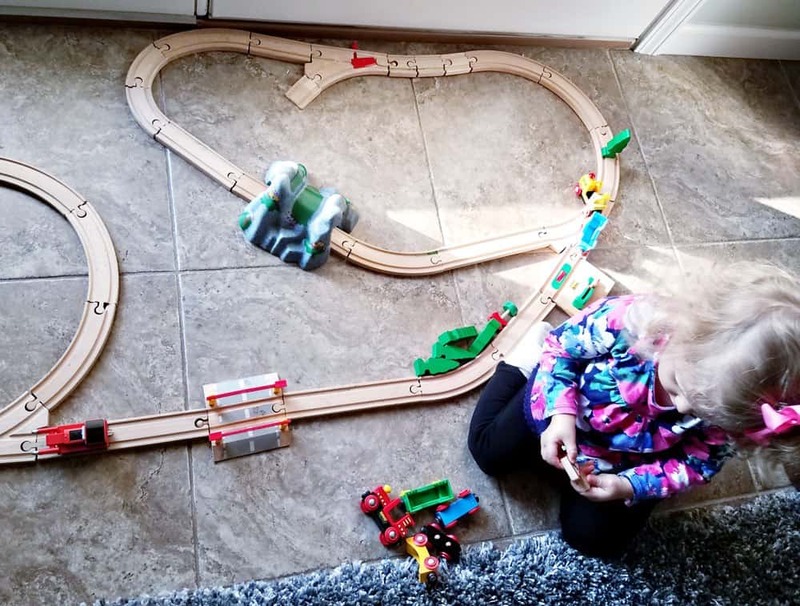 Try these basic learning games that help your toddler make brain-building connections. Basket Toss – Use a laundry basket and balled up socks to create a tossing game to improve coordination. Bean Bag Balance – Show your toddler how to balance a bean bag on the back of their hand, their elbow, top of their foot or her head. 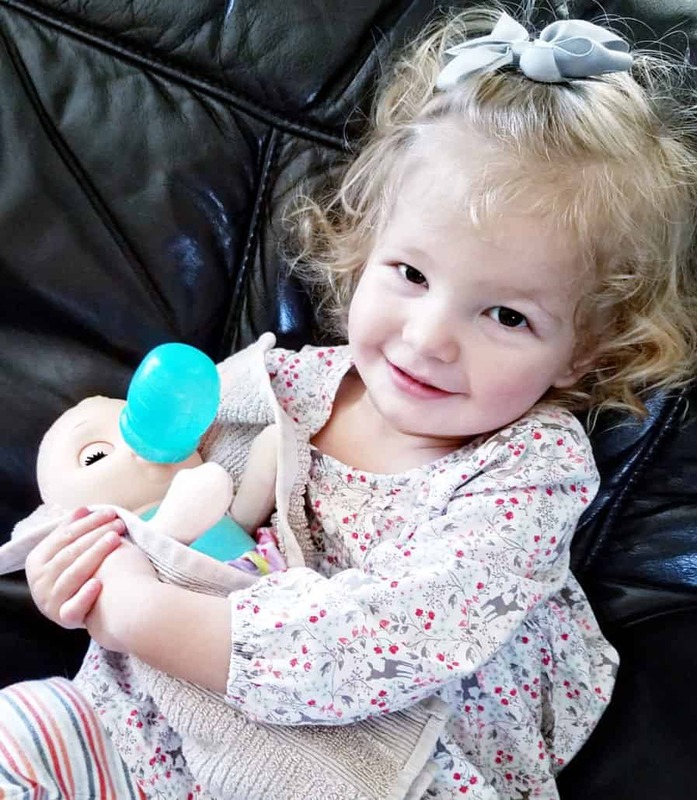 In and Out – One of my toddler’s favorite things to do is empty the kitchen drawer that holds her sipper cups and flatware. Give your toddler some kid-friendly general use items (like cleaned-out bottles in a variety of sizes with the caps removed) and a small box to let him load and unload. Turn off the device and television in favor of story books and snuggles. 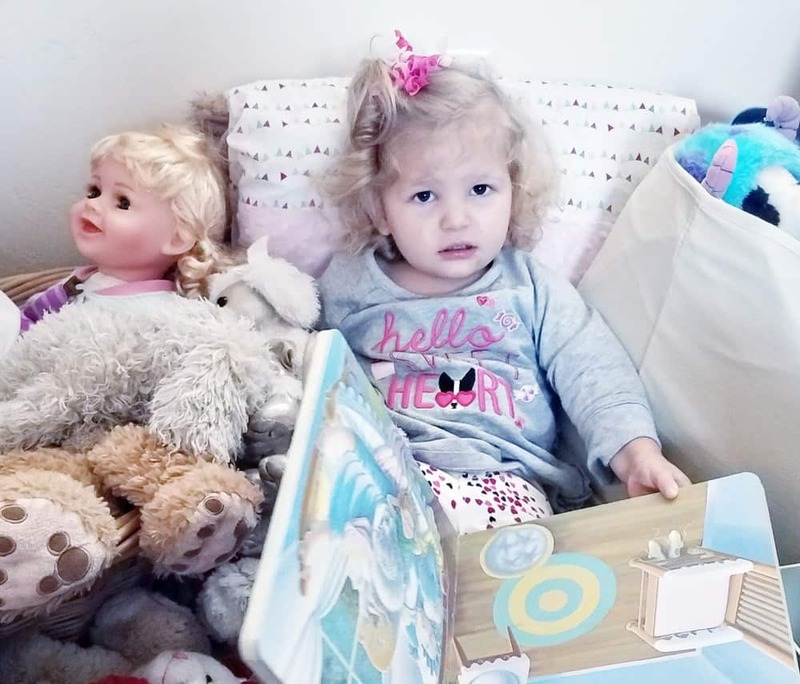 Toddler story time is a great segue between playtime and nap time. Sometimes the books that toddlers love aren’t the ones that you’re usually drawn to! If you’re bored of reading the same books over and over, head for the library to borrow new stories. As much as they might protest, a proper rest and nap time is so important. 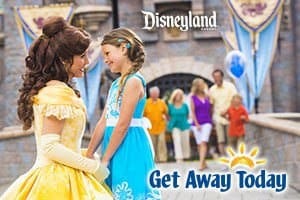 Not only for your toddler but for you as well! Toddlers that have a nap schedule just seem to have better nighttime sleeping habits too. 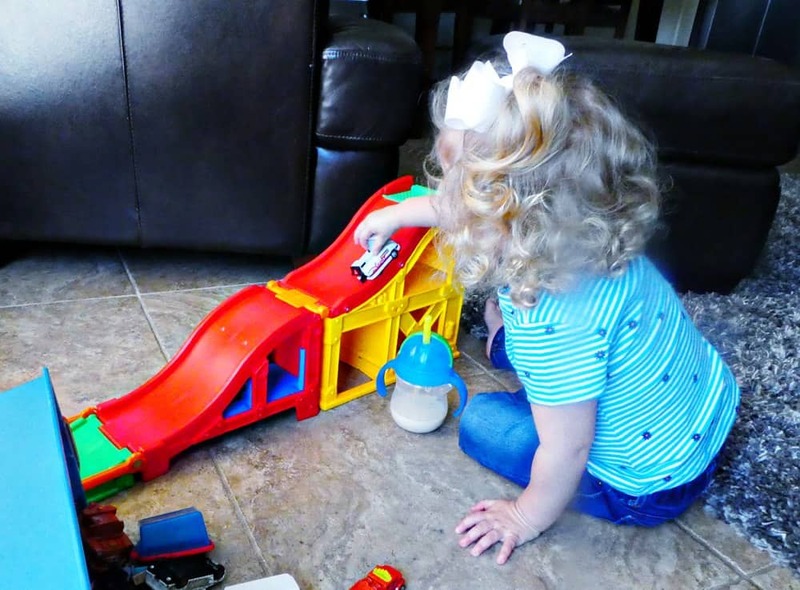 Start by cleaning up toys, indicating to your toddler that playtime is over. 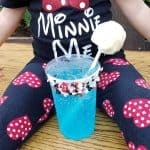 I offer a sipper cup with Enfagrow® Toddler Next Step™ and my toddler will sit on my lap while I read, and she drinks. Once I feel her relaxing, I’ll segue into singing some of her favorite songs and she’s ready to sleep. If she’s resistant to lying down in her crib, we’ll often go for a walk in the stroller instead, which usually helps her to nod off. I’ve been flexible on the nap time lately, noticing that my toddler hasn’t been tired or doesn’t sleep as long with an earlier nap time. I’ve adjusted my nap schedule, pushing it back 90 minutes and finding that she’s falling asleep easier and sleeping longer. It’s all about watching and knowing your own child and what works for them. 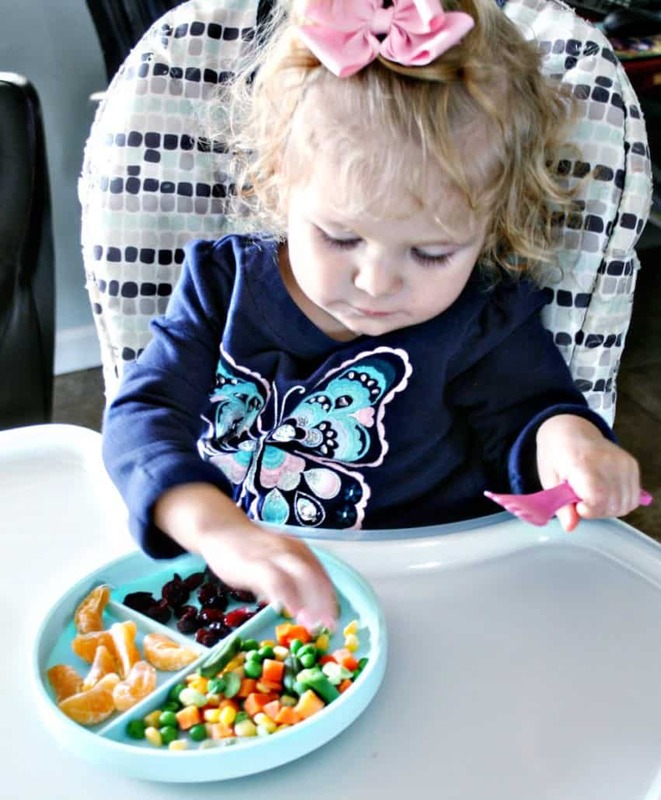 Toddlers are fickle little people, especially when it comes to what they eat. One day they love peas and can’t get enough of them. The next day they’d rather toss peas on the floor than eat them! It can be frustrating and worrisome; when you’re concerned your toddler isn’t getting proper nutrients. 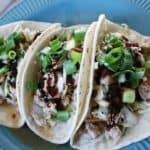 My just-turned-two-year old is already a picky eater and I worry she’s not getting enough nutrition from the little amount of food she eats. 85% of brain growth happens in the first three years of life, so help ensure your toddler is getting important DHA to help nourish this brain growth. 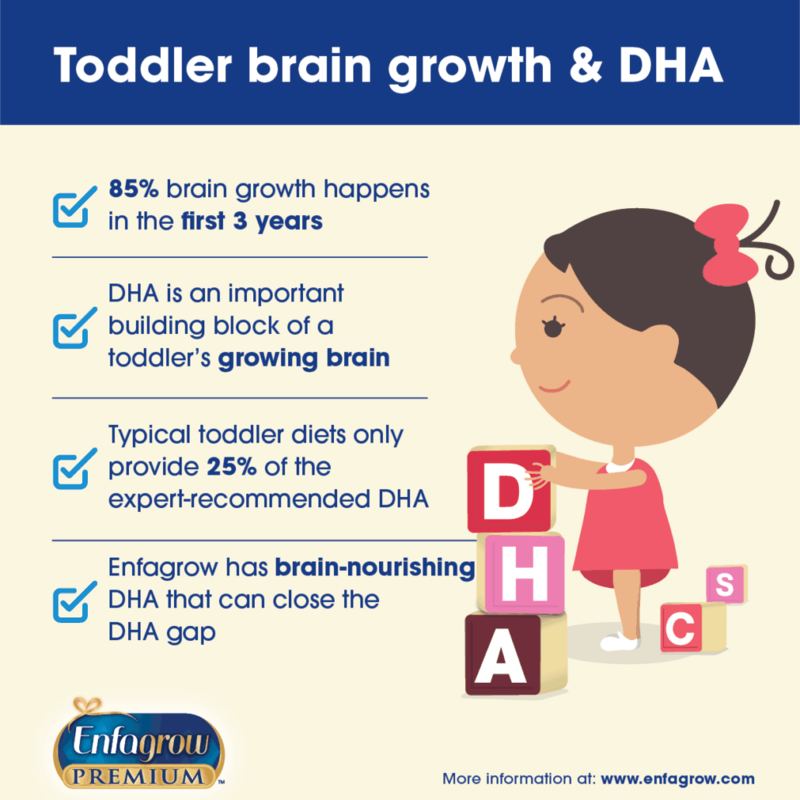 Experts recommend that toddlers have 70-100 mg/day of DHA to support early brain and eye development, but most toddlers only get 25% of the recommended amount of DHA, leaving a gap in their nutrition. The main source for DHA is fish and unfortunately many toddlers refuse to eat fish. Most of the foods that appeal to toddlers (like cereal, cheese, bananas, regular milk, chicken nuggets, mac & cheese) have 0 mg of DHA. 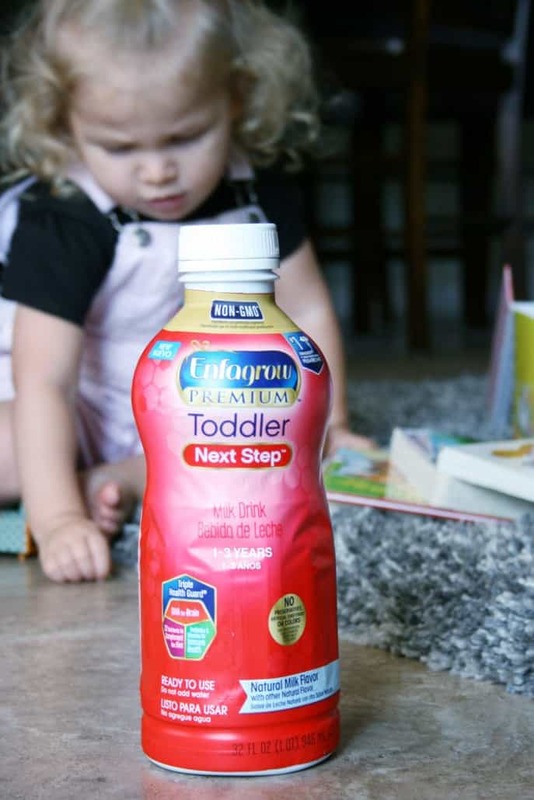 I was excited to find out about Enfagrow® Toddler Next Step™. 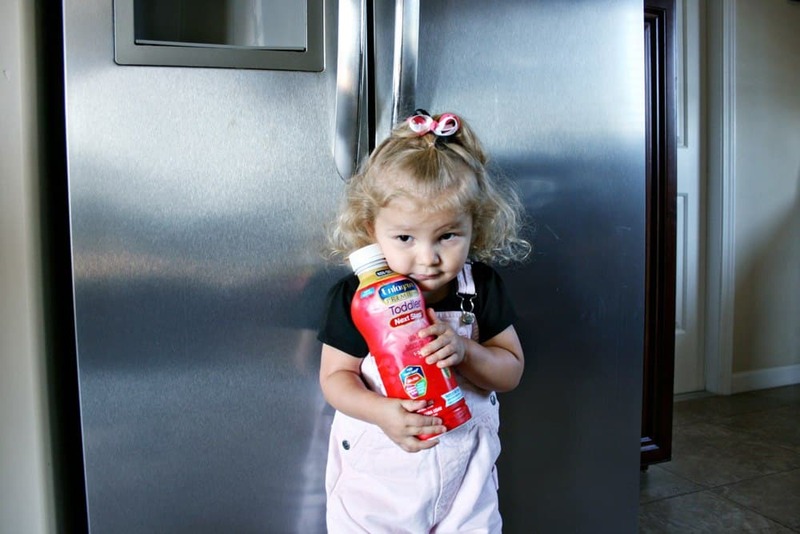 Enfagrow Toddler is a milk-based drink ideal for kids aged 1-3 years. It has DHA and complements a toddler’s diet to help ensure good nutrition for their changing needs and tastes. I had no idea that there was a product available that has DHA for toddlers! 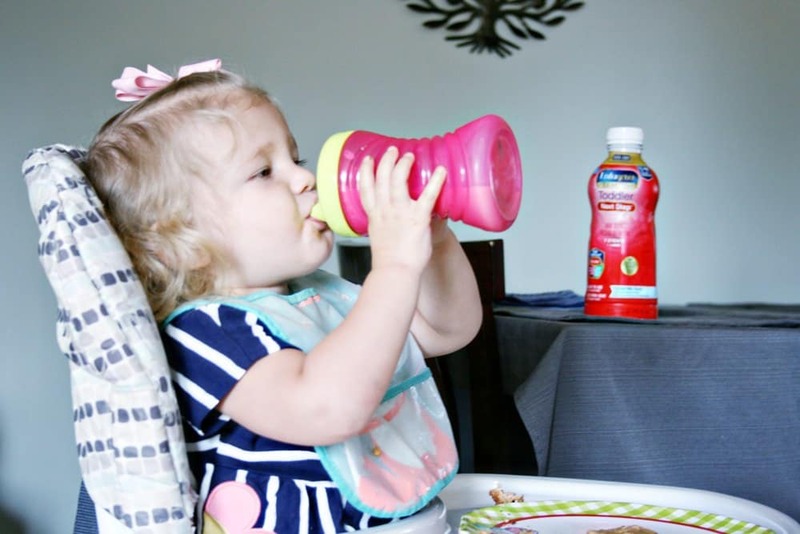 And my little girl absolutely loves the Enfagrow Toddler, she sips it right up! Enfagrow Toddler is available in a convenient 32 fl oz. liquid bottle and 32 oz. powder can. Visit Enfagrow.com to learn more about Enfagrow Toddler, to receive coupons and to request free samples.